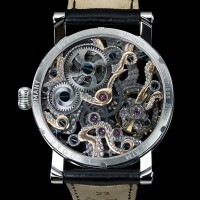 You’ve never owned a watch until you’ve owned a Kudoke piece. 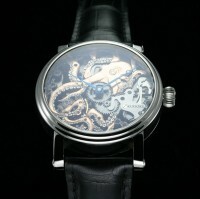 Known for their unique spin on traditional timepieces, Kudoke watches carry a sense of dark elegance and whimsy that easily captures the imagination. The KudOktopus for instance, is a surefire standout. 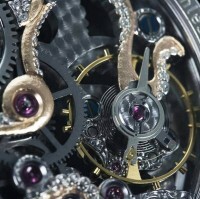 It carries a unique design painstakingly crafted into the watch cogs. 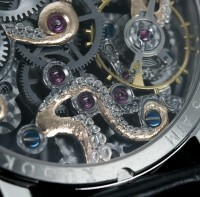 Watch the rose and rhodium tentacled octopus wrap its grip on the various little mechanical cogs inside the watchface. 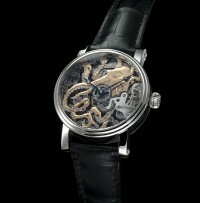 It comes with a Louisiana alligator or calf leather strap that’s sewed by hand too. 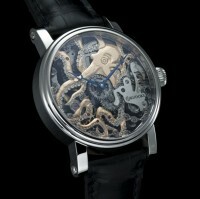 Indeed, these are special timepieces meant to embrace individuality and uniqueness. Wear one for yourself right now.